A day trip filled with exiting and adventurous experiences. 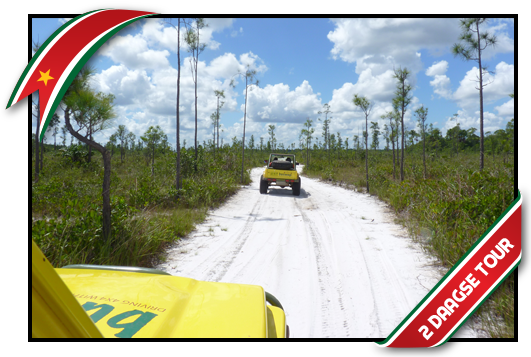 You become familiar with off-roading by getting behind the wheel yourself. You will encounter various challenges, you will intensely enjoy all you experience and witness the beautiful nature. The tour is filled with adventure and challenges. 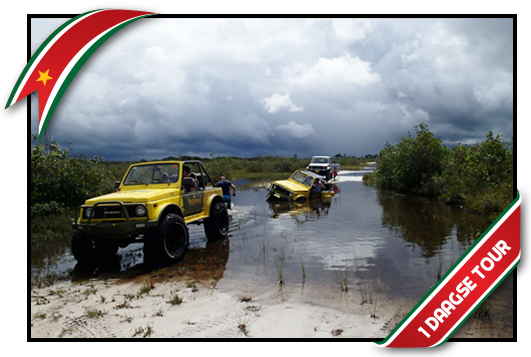 You will take on various obstacles with the 4×4-vehicle and travel to beautiful spots where hardly anybody comes. You sleep in a hammock and thus get ‘back to basic’ for a while. 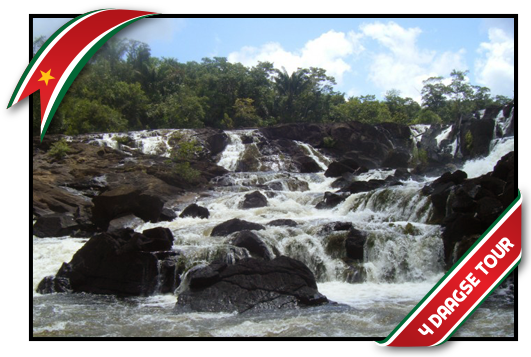 Young or old, male or female, because of the different aspects of the program, this tour is suitable for anybody wanting to discover Suriname in an adventurous manner. 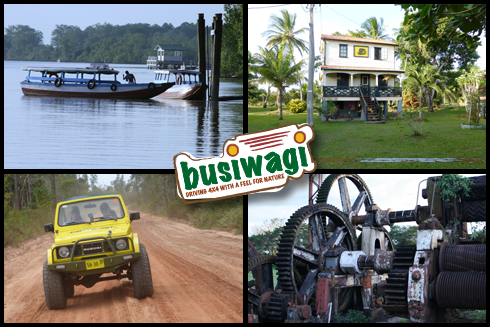 You are about to experience Suriname in an impressive and unimaginable way. You will face obstacles with your 4×4 vehicle, drive in the moonlight, sleep in a hammock, shower under a waterfall, survive in the jungle, all facets of a wonderful adventure come into play. With all the impressions and the experiences in unspoiled nature, you will return home with the most fabulous stories. Deze afwisselende rondreis door Suriname is speciaal samengesteld voor de avontuurlijk ingestelde reiziger die houdt van de combinatie sportief avontuur, natuur en comfort. 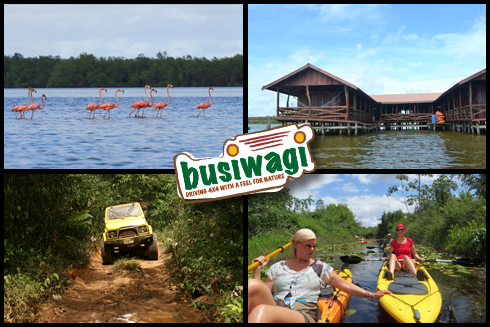 Door het actieve gedeelte met de Busiwagi 4×4 off road tour richting Blanche Marie, de kanotrip richting Stondasi door de ongerepte natuur en …..